Spring is Coming… We Promise! It’s been a long, grey winter, and just like everyone else, we’re patiently awaiting the return of sunny days and moderate temperatures. Anything would be better than five dreary days of sleet and rain! Our connoisseur opticians are always on the lookout for the latest trends and styles in prescription and recreational eyewear, but more than that, we seek out the brands and technologies that are redefining the industry. Kaenon Sunglasses are committed to the kind of innovation and foresight that literally changes the way we see the world. Better things and brighter days are definitely on their way, and Kaenon sunglasses are part of what makes those brighter days even better. Kaenon sunglasses are literally engineered for the outdoors. All your sun-drenched sports from golf to paddle boarding, fishing, cycling, sailing, and soaking it in, require sunglasses that will meet and exceed your expectations, and take your game to the next level. By featuring Kaenon products at Berlin Optical Expressions, we are committing ourselves to also meeting and exceeding what you’re looking for from your local optician. Our team’s pursuit of the best brands in the business never ends, and allows us to meet some of the most incredible innovators and designers in the business. 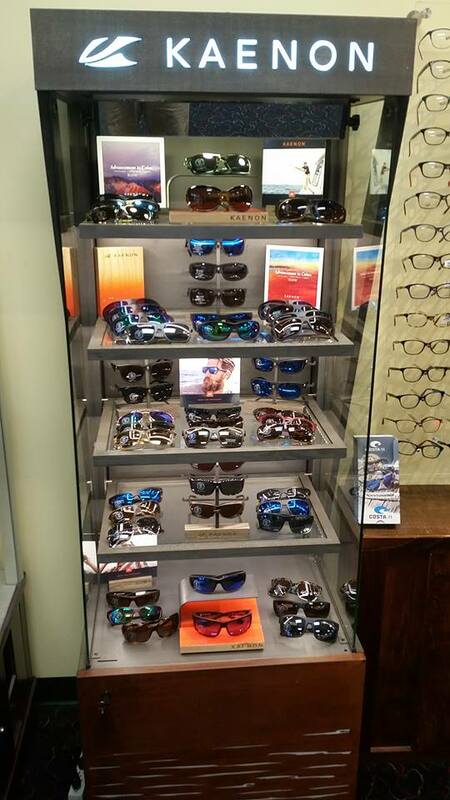 Our eyeglass/sunglass showroom has literally hundreds upon hundreds of shapes, sizes, and styles to choose from. Our already intimidating selection of designer brands has seriously stepped up its game with the addition of Kaenon to our impressive collection. 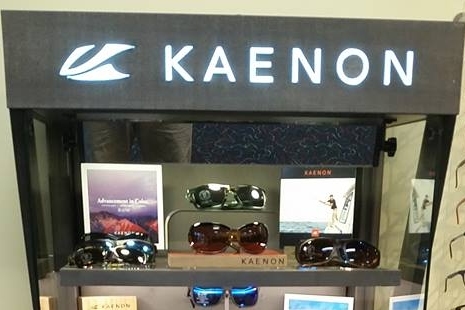 Stop by today to and get your active lifestyle activated with Kaenon sunglasses, or any of our other incredible designer product lines. We can assure you, the sun will be coming back any day now… Your eyes will thank you! Kaenon Sunglasses at Berlin Optical Expressions – Performance Redefined!